Yodlaf Peterson (Franco Nero of DJANGO) is a suave Swedish arms dealer with a love for fast money. 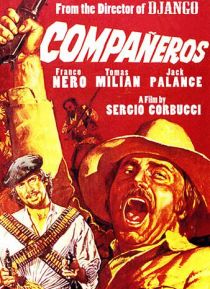 Vasco (Tomas Milian of TRAFFIC) is a trigger-happy Mexican bandit with a hate for suave Swedish arms dealers. But when the two men team up to kidnap a professor who holds the key to a fortune in gold, they find themselves hunted by the American army, stalked by a marijuana-crazed sadist (award winner… Jack Palance) and trapped in the middle of a revolution about to explode.